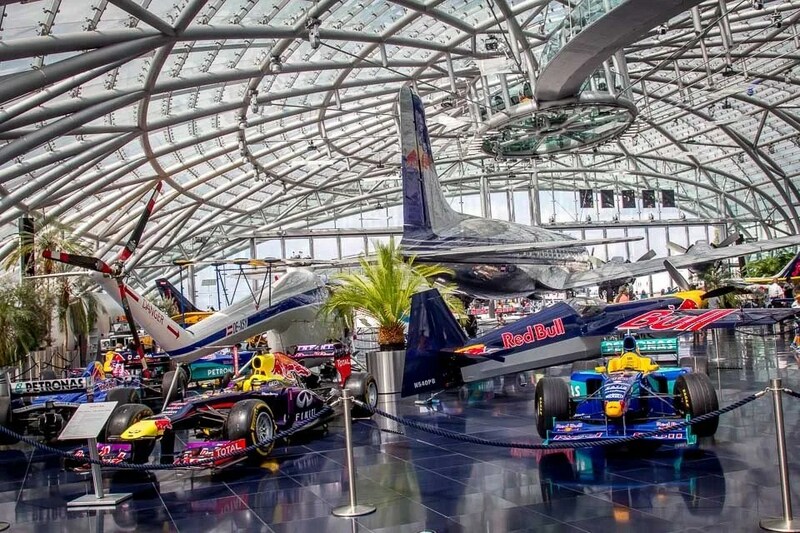 Right next to Salzburg Airport lies Hangar-7, owned by Red Bull founder Dietrich Mateschitz. 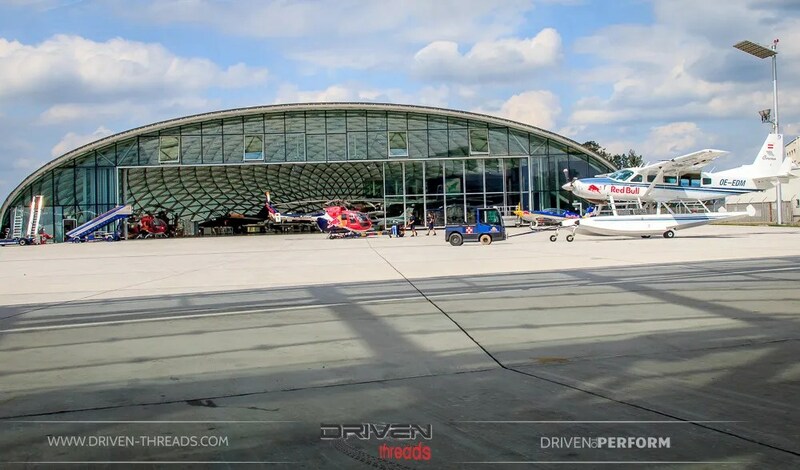 This is not a hangar in any traditional sense of the word but rather a collection of Red Bull’s toys; everything from aeroplanes, flying-suits helicopters and ofcourse our main focus F1 cars. 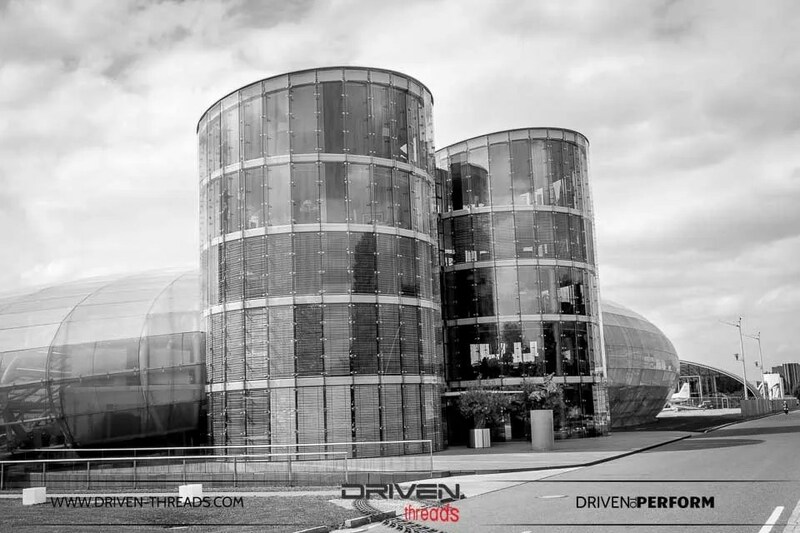 All of this amazingness is housed in a distinctive airfoil shaped building, constructed of 1,200 tons of steel and 75,000 sqft of glass surface. 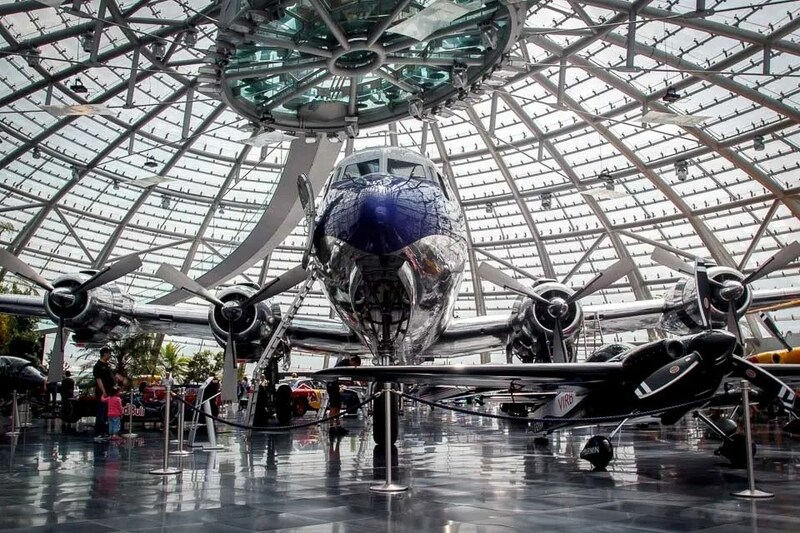 Hangar 7 also features a restaurant, two bars, and a very classy lounge. Next to main building is “Hangar 8”. Hangar 8 is not open to prying eyes, and is primarily used as a maintenance facility. 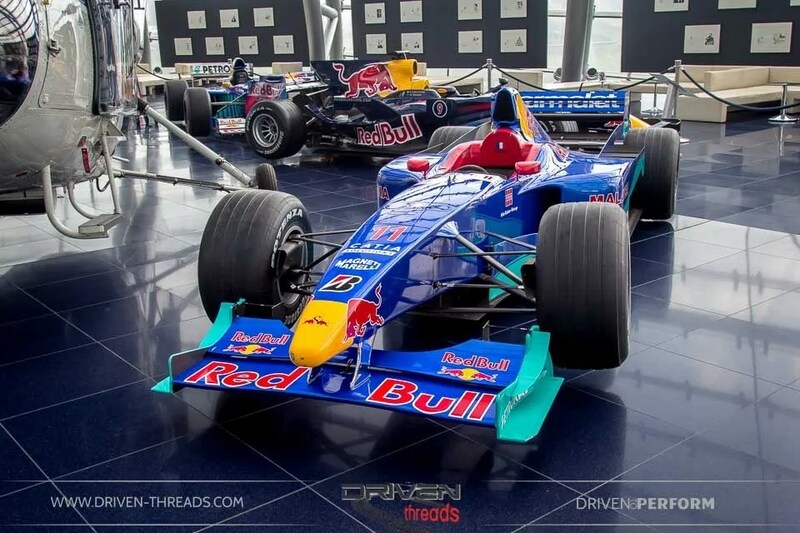 This F1 car was David Coulthard’s RB3 that was driven at the 2007 British Grand Prix. 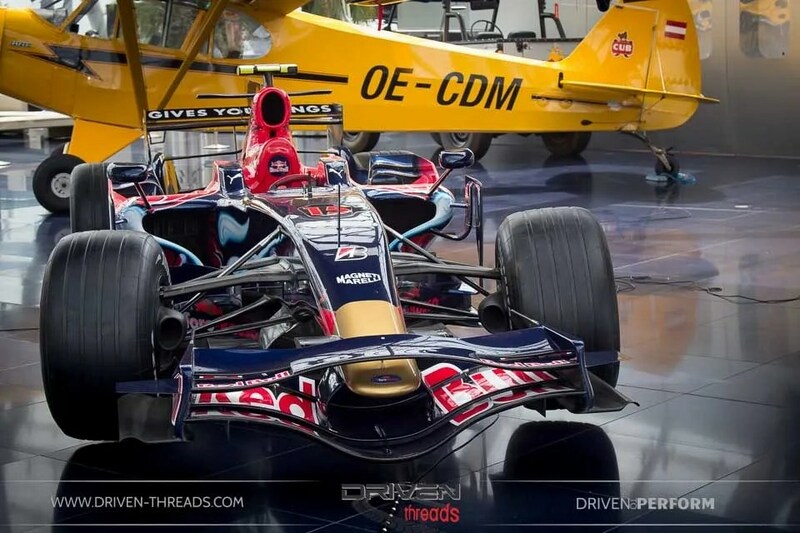 Red Bull auctioned the car in March 2008 on ebay in aid of their Wings for Life charity. 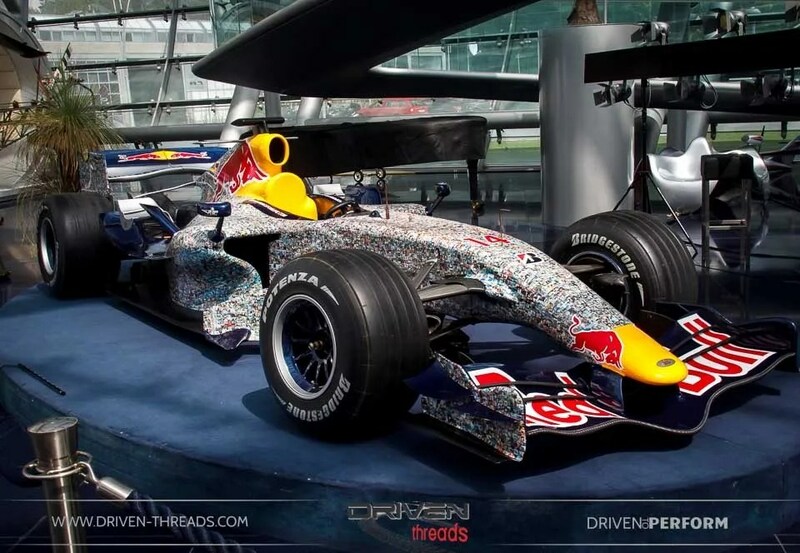 The car features a ‘Faces for Charity’ livery, with more than 50,000 Formula One fans donating money in exchange for their photograph becoming part of a huge collage which covered the RB3’s sleek bodywork. 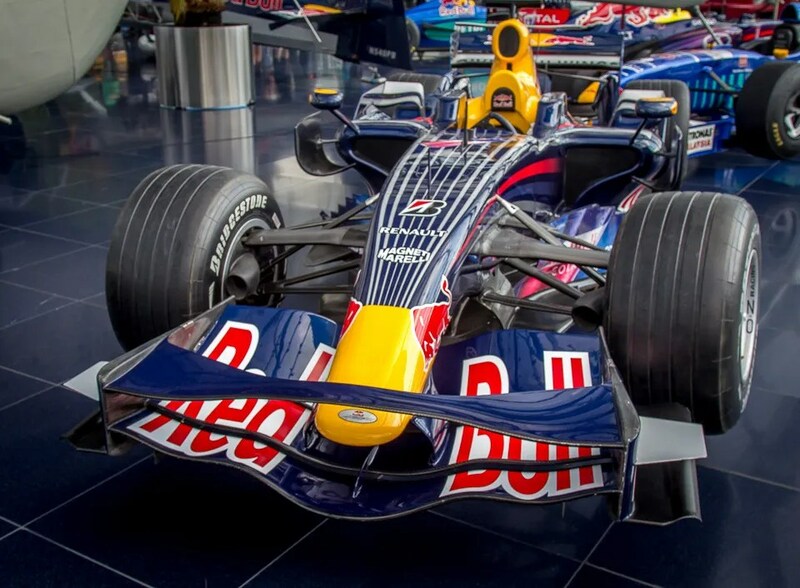 This is the car that Sebastian Vettel took to his and Scuderia Toro Rosso’s first-ever F1 victory at the 2008 Italian Grand Prix at Monza on the 14th September 2008. 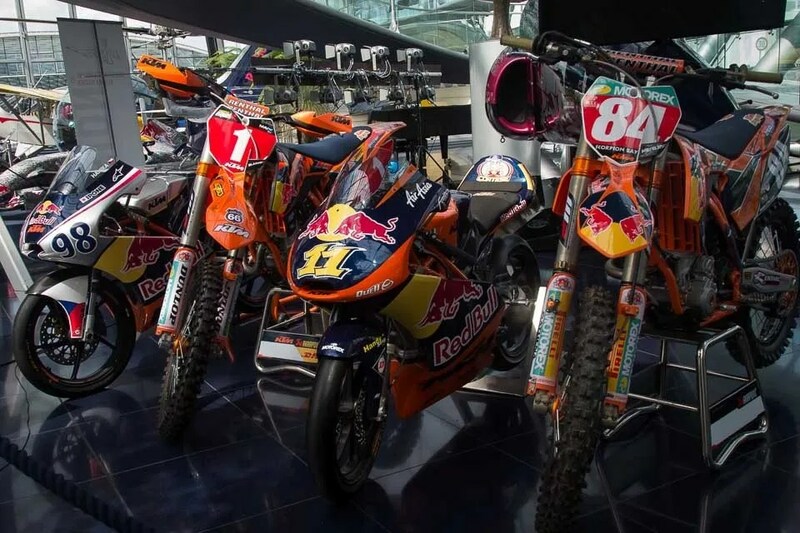 He became the youngest race winner in Formula One history. 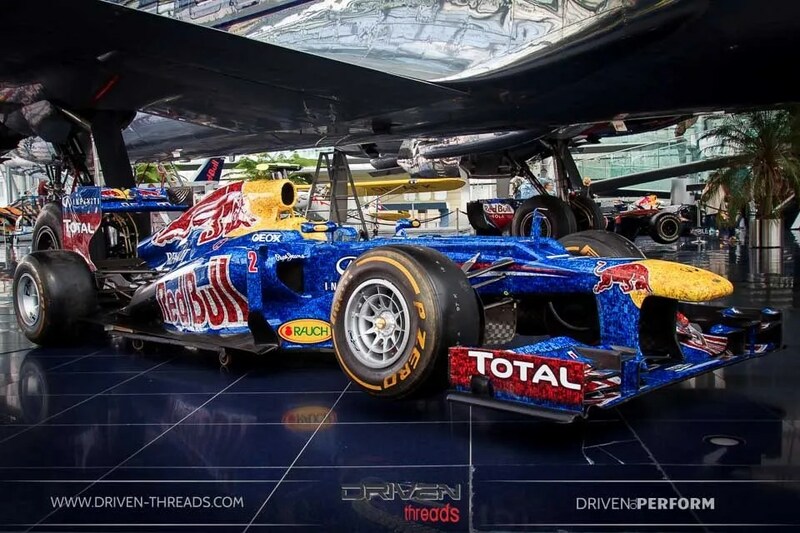 The distinctive 2012 RB8 driven by Mark Webber. 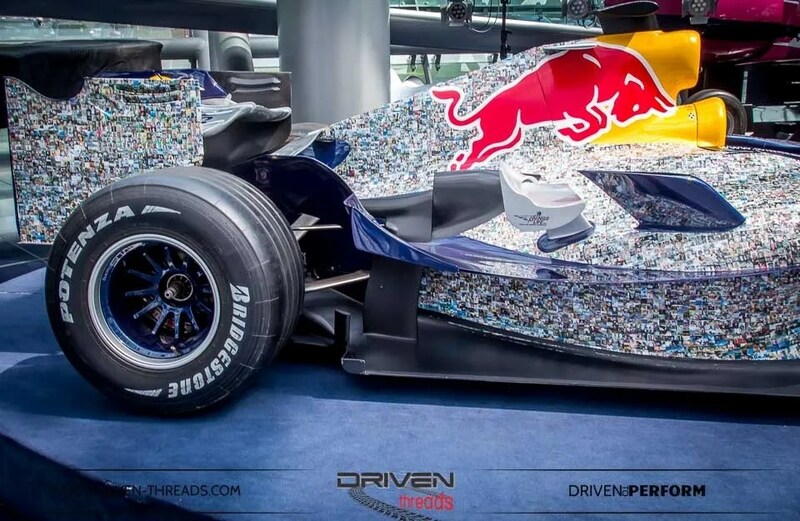 Like’s Coulthard’s car above, Mark’s machine (as well as Seb’s) was adorned with a collage made up of thousands of fan photos for the Silverstone Grand Prix. 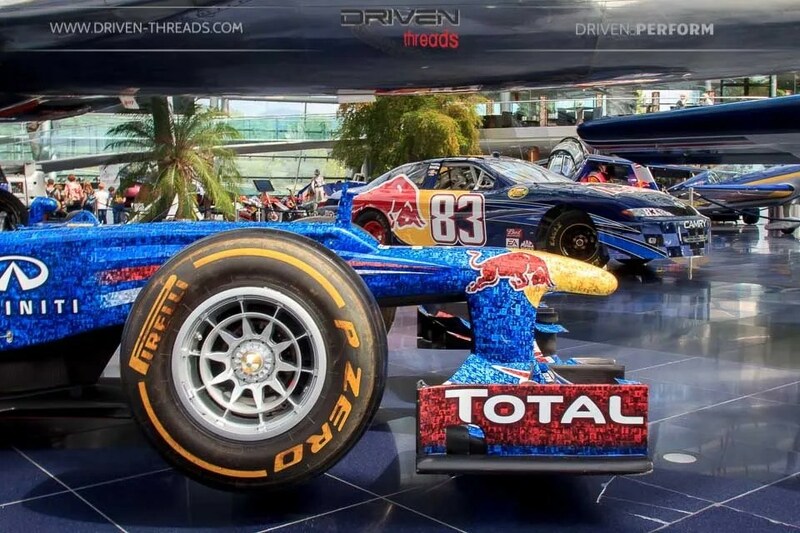 The intricate and experimental front splitter of the 2008 Red Bull RB4 looks so strange compared to contemporary F1 tech. 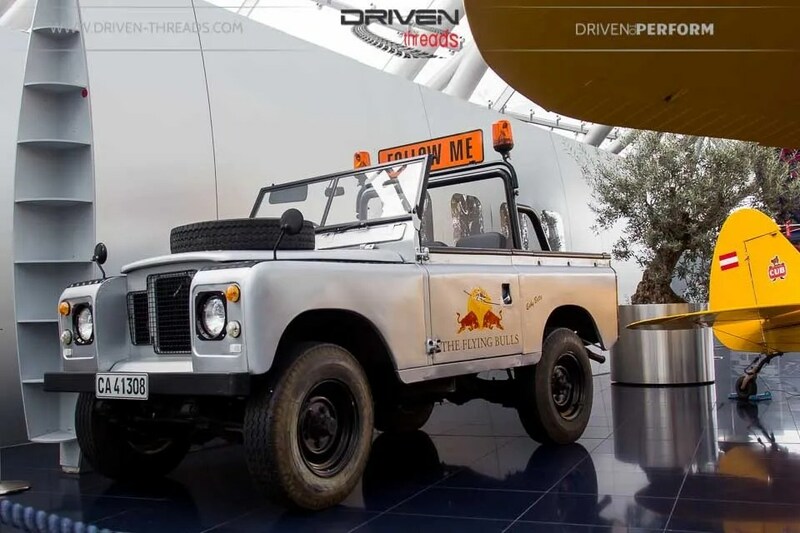 The Flying Bulls support car is a proper choice. 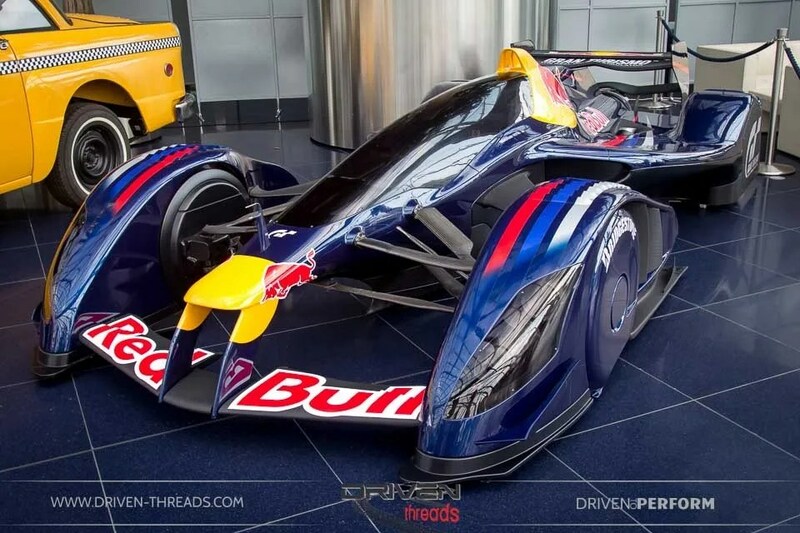 The stepped nose makes such an impact on the 2013 Red Bull RB9. 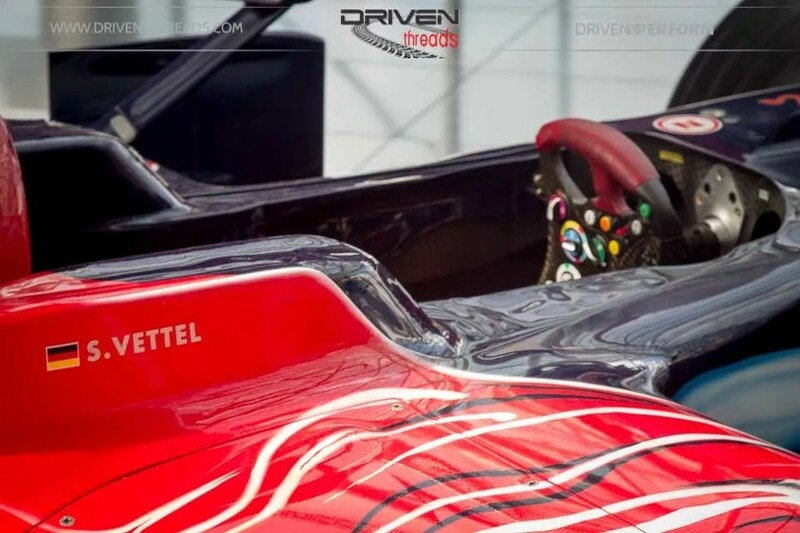 Vettel would ultimately claim the drivers’ championship title, for the fourth consecutive season in 2013. 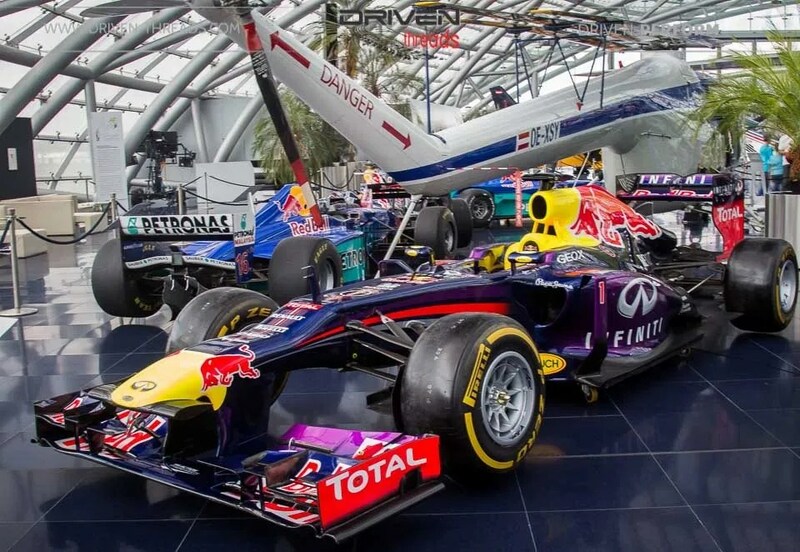 2013 also signalled a finale to Webber’s F1 career. 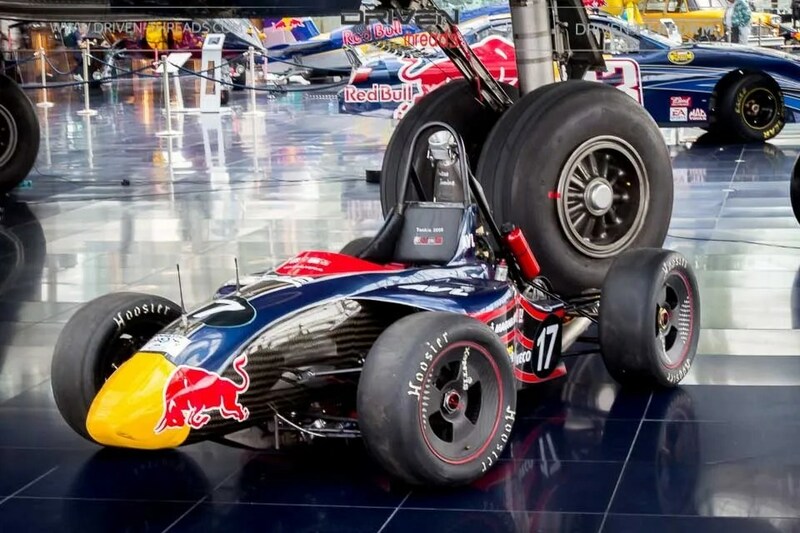 Sebastian Vettel and Mark Webber also brought the RB9 to the last win and world titles for a V8 and a naturally aspirated engine powered F1 car. 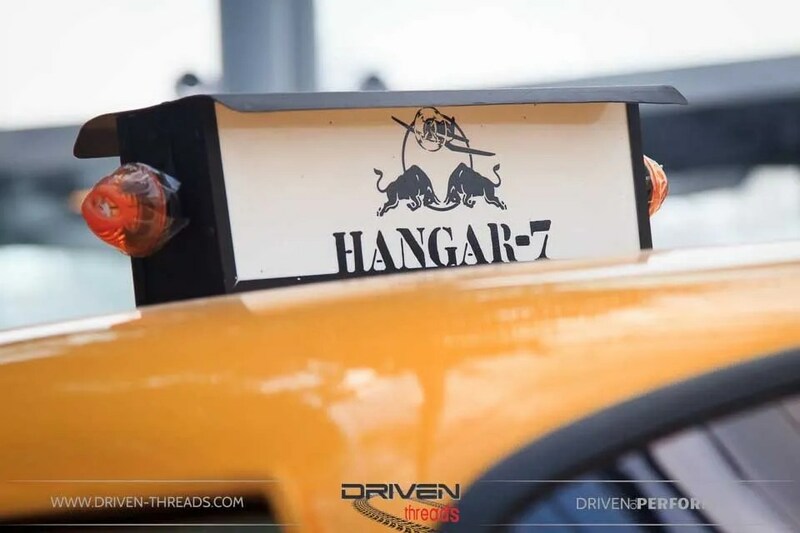 Historically, this marked the end of the V8 and the naturally aspirated engine era of Formula One which began in 1989 when turbocharged engines were banned at that time. 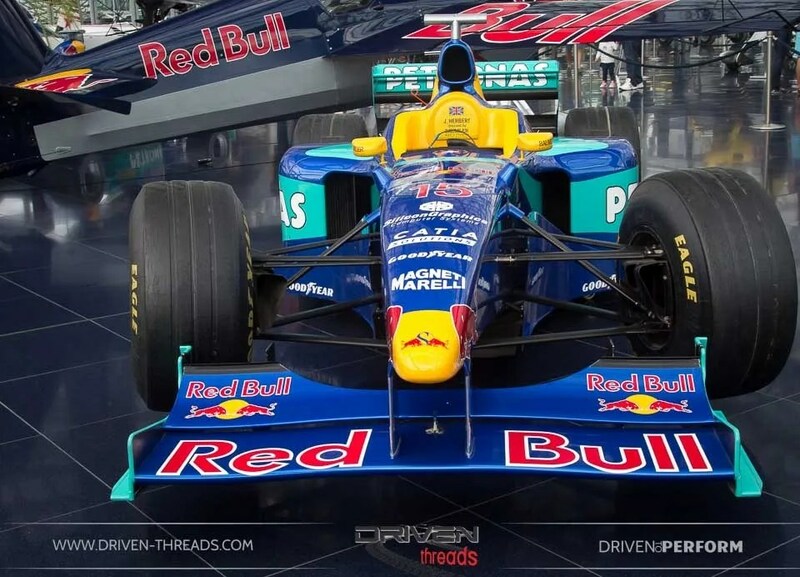 Red Bull paying homage to its history with this Sauber Petronas C17 from 1998 on display. 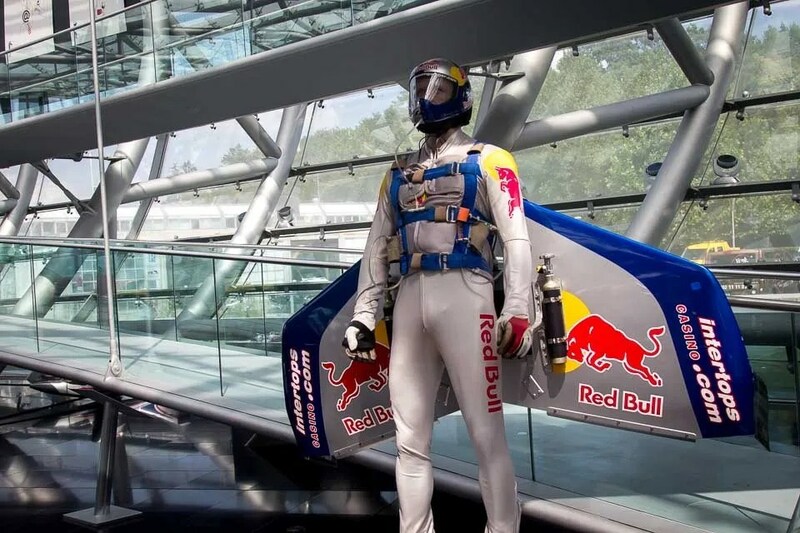 Red Bull X2010 Sebastion Vettel. 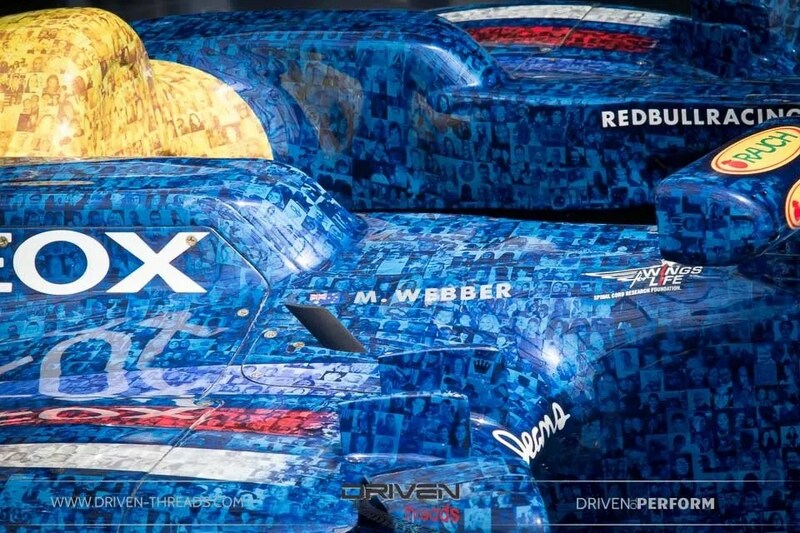 Purely a concept car designed in collaboration with the multi- world champion. 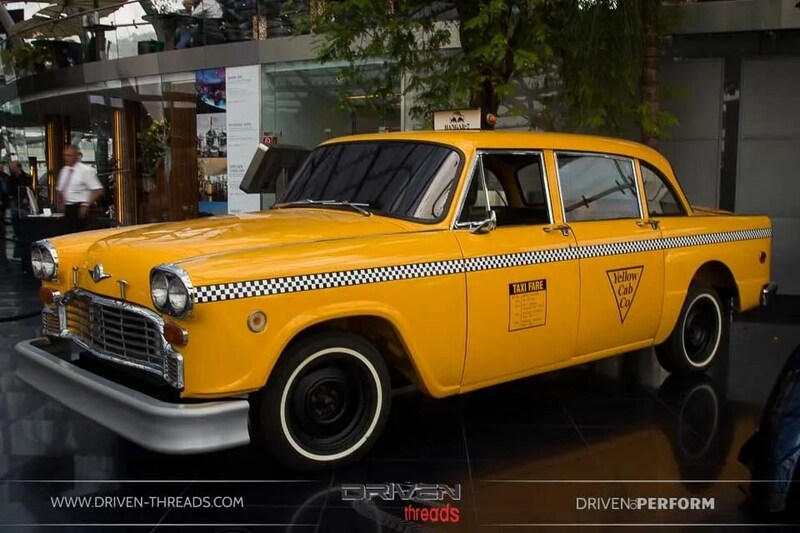 In complete contrast to the minimalist F1 creations, an original Checker Cab from 1963 was featured, it was used in a Salzburg photographic art exhibition in 2006. 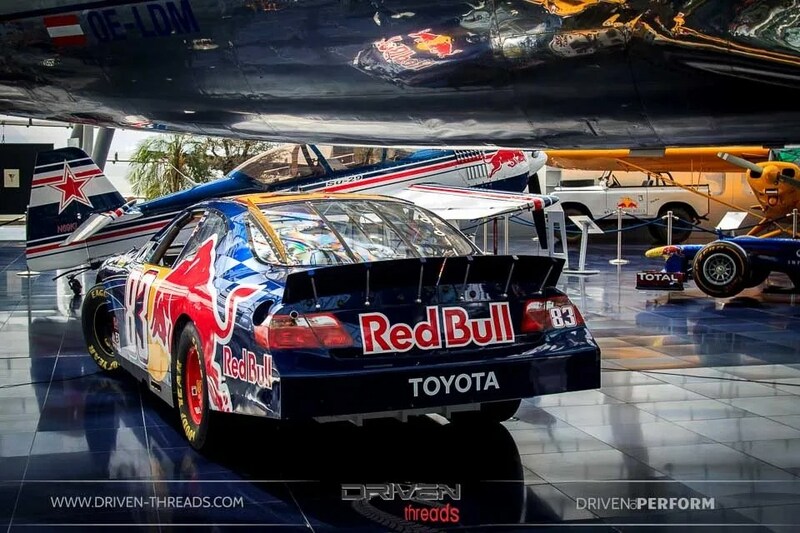 It wasn’t just F1 machines on show, with other motorsport disciplines represented, such as this 2007 Toyota Camry Nascar Cup Car. 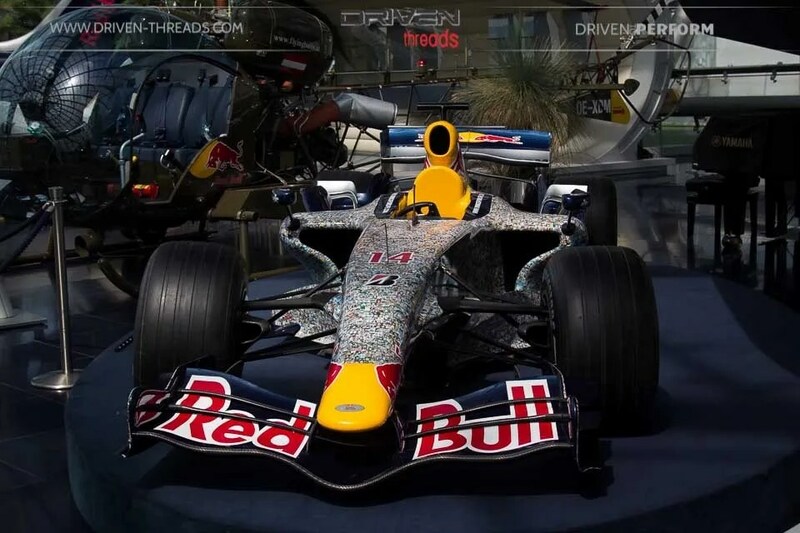 Brian Vickers piloted this car in 2007, for the then new Red Bull team. Its best result was at the Coco-Cola 600 at Charlotte, after leading for more than 70 laps, a power-steering issue resulted in a creditable 5th place finish. 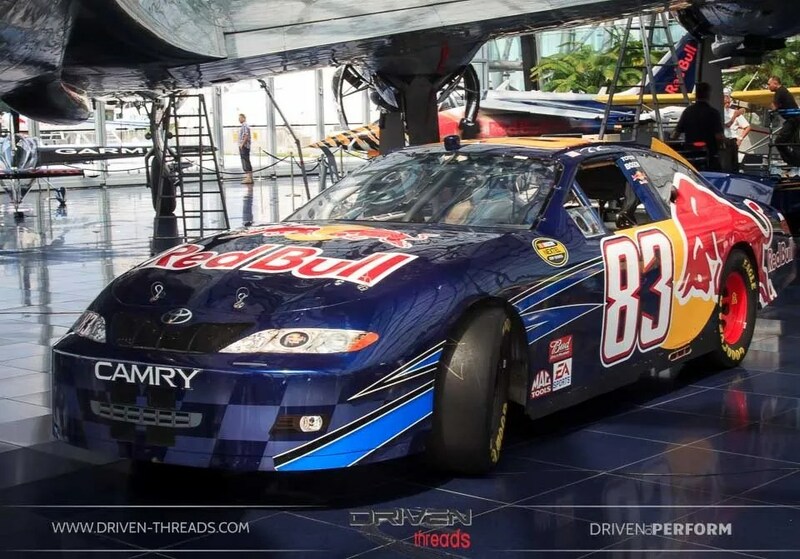 This 2001 Flying Bulls Nascar was driven by Thomas Scheckter and Max Papis. 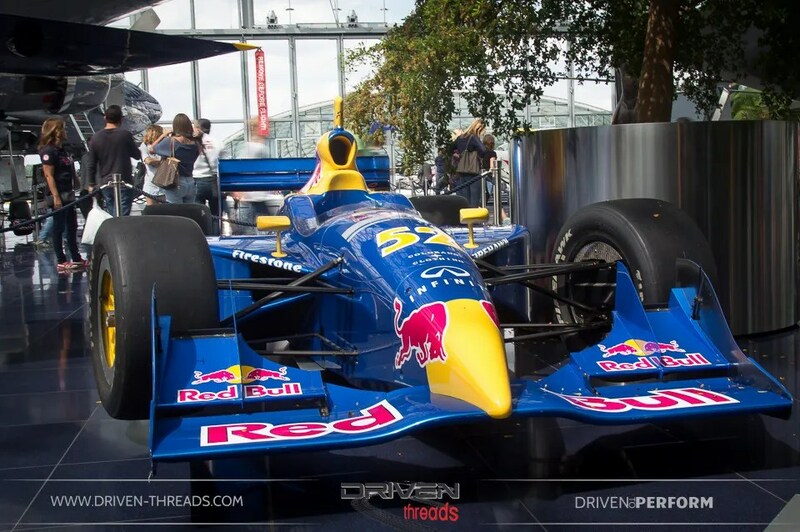 This car won at the Michigan International Speedway and recorded an impressive three poles in the 2002 season. 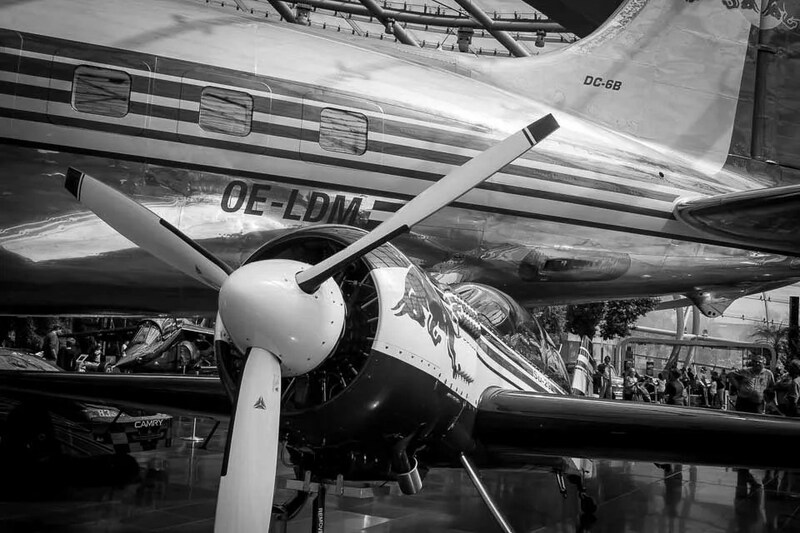 If you’re ever in Salzburg, we recommend you skip ‘The Sound of Music’ tour and head straight for Hangar 7. You won’t be disappointed in the Big boy’s toys. 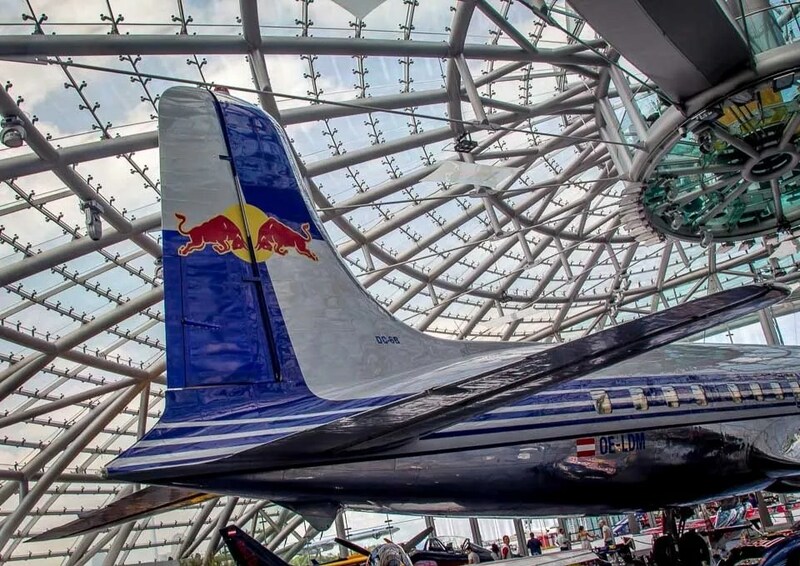 We hope you have enjoyed our coverage of Red Bull’s hangar 7. More coming soon to Driven Threads.